In May of 1991, Dan H. Williams became active full time in his own public relations company, Dan D Dynamo Enterprises, Inc., utilizing his skills in marketing, presentations, creative writing, Spanish language translation, which included computer word processing, and maintaining his international contacts. In November of 1991 Danny (became) permanently recognized in the Museum of the Oklahoma Historical Society, and is one of the original fifteen members of the Oklahoma Association of Broadcasters Hall of Fame, as of February 1992. In June of 1992, one of the broadcast industry's more powerful companies, Diamond Broadcasting, persuaded Danny to come back across the Red River to produce and host the "Danny Williams Morning Show" for KOMA AM/FM. When Danny began with KOMA, it was about 12th in the Arbitron ratings. Starting April 1996, the Winter Arbitron book rated the KOMA "Danny Williams Morning Show" number one! "The most difficult time of my career was immediately following the April 19, 1995 bombing of the Murrah Building in Oklahoma City." Danny stated, "I truly love Oklahoma and Oklahomans, and you could absolutely feel the pain of the broken hearts and souls. It was not a time for 'entertainment'." The week following the bombing, Wednesday, April 26, 1995, a minute of silence was proclaimed nationwide in honor of the victims, friends and family. CBS Radio taped Danny's commentary preceding that moment and the NBC Today Show played it the end of their show the next morning, Thursday, April 27, 1995. Danny has been number one in four decades in the television industry, which include the 1950's, 60's, 70's and 1980's. The Arbitron Spring book came out the end of July 1996 and the KOMA "Danny Williams Morning Show" was rated number one - again! Danny Williams enjoyed the number one position Monday to Friday from 5:30 to 9:AM on KOMA in Oklahoma City, December 1997. Mr. Williams was featured in The Oklahoman Entertainment section, front page 1997, and on the cover of The Oklahoma Gazette as well as included in their Best of Oklahoma City categories of Best Radio Team and this year Best Colorful Character. Mr. Williams was on the Wheel of Fortune in 1998 as the winner of the Most Favorite DJ contest in Oklahoma City. He was featured on The Oklahoman entertainment section front July 1997, featured on the cover of The Oklahoma Gazette January 1998 and included in their Best of Oklahoma City categories for a couple of years in Best Morning Radio Team. 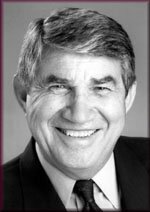 "His forty two year contribution to Oklahoma Broadcasting is unparalleled and unequaled. Radio giant, television star, and broadcasting executive. Generations of Oklahoman's have grown up with Danny Williams . . . . . Broadcaster par excellence."